Korean Police Officer at the invasion of the Japanese Imperial Army in Korea during the First Sino-Japanese War (1894–1895). 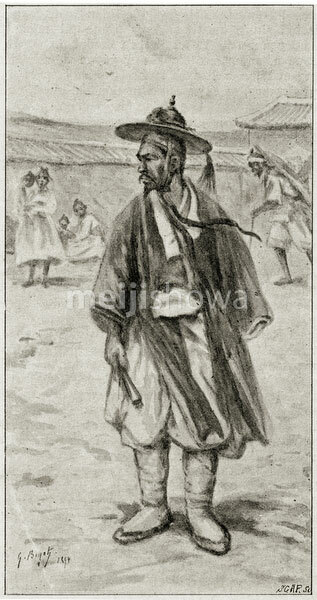 Published in the French illustrated weekly Le Monde Illustré in 1894 (Meiji 27). Art by French artist Georges Ferdinand Bigot (1860-1927), famous for his satirical cartoons of life in Meiji period Japan.